Ian Griggs will take up the role overseeing the division, which is a recently-launched venture for the company. 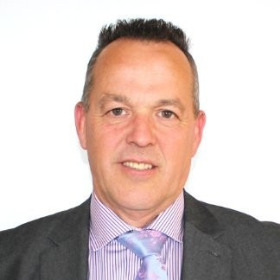 Mr Griggs has 30 years’ of experience in the industry, having previously held roles at competitor businesses, including company sales director at Burdens and, most recently, as national main contractors account manager at Tobermore. Managing the latest addition to Scott Parnell’s specialist portfolio, Mr Griggs will be responsible for the overall business strategy for the landscaping department, and developing successful relationships with suppliers and customers. Established in 2006 by Dave Scott and Steve Parnell, the company has already forged a name for itself in the civils, drainage, utilities, rail and water supplies’ sectors before announcing the launch of its new landscaping division.